They are the one who left no pebbles unturned to make you what you are today. It’s their unconditional love, constant support, and deep trust for you that made your life a happy one. Ensure them the same amount of happiness on their birthdays or anniversary or Parent’s Day by ordering gifts for parents from FlowerAura. Whether it was on your first day at school or when you were applying for your first job, your parents have always been there with you always. Not only they gave you this beautiful life but also made sure to shower you with the best things in life. To help you in making them feel how special they are, we, at FlowerAura, have brought to you the best gifts for parents. Because it's your parents who have always cared for you and have always striven to make your life better no matter how many comprises they had to make in their life. It's time to thank them with the most meaningful gifts for always showering their unconditional love and the support they have always ensured you. Your parent's birthday or anniversary or occasions like Mother's Day or Father's Day or Parent's Day is the perfect time to remind them that you love them endlessly. If you are seeking for the best gift ideas for mom and dad then, you are at the right place. FlowerAura offers you a wide variety of gifts for mom and dad that are meaningful and expressive. With our range of unique gifts for parents, you can express your love, care, and affection for your mom and dad in the most thoughtful way. From flowers and cake gift to customized gifts, beauty gifts to spiritual gifts, we present the best gift ideas for parents. So, if you want to buy the best gifts for parents, just visit our online gift portal, check out our exclusive collection, and place your order comfortably seated at your house. We, at FlowerAura provide our customers the perfect gifts for parents which include customized mugs, flowers, cakes, cushions, idols, house plants, grooming kits, photo frames, key chains, healthy combos etc. 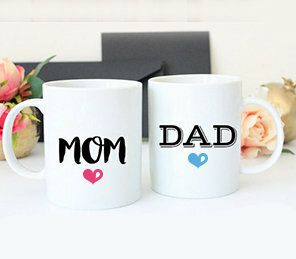 So, make sure to order the best gift for mother and father from FlowerAura. Your parents are probably the one on whom you can count every time. In better or worse, they are always there for you and with you. Whenever things go wrong and you feel alone, they remind you of the love that is all around you. Being away from home for a long period of time can be a difficult thing to do but parents always make sure to make their presence felt to their children when they are away. You can also do the same with the aid our online gift delivery in India. Even if you live away from your parents, you can still make them your presence felt and tell that you miss them by sending a flower bouquet online from FlowerAura. And, on occasions like your mom's or dad's birthday or on their anniversary, if you cannot make it to home then, you can simply send the best gift for mom and dad from us. When it comes to our online gift delivery services, we always ensure an express delivery to our customers. We deliver gifts, flowers, and cakes in more than 200+ cities of India. With us, you can opt for a same day gift delivery. All you have to do is to make a order of a gift from our website and once your order gets confirmed with us, our delivery team makes sure to deliver the gift to your doorstep just within four hours of your order placement. In case, if you are sending a gift to someone then, our delivery team will deliver your ordered gift to the recipient's doorstep on time. Also, to make your online gift shopping experience a hassle-free one with us, we provide free shipping to all our customers. So, make your mom and dad feel special, loved, and adored with FlowerAura's range of exclusive gifts for parents.